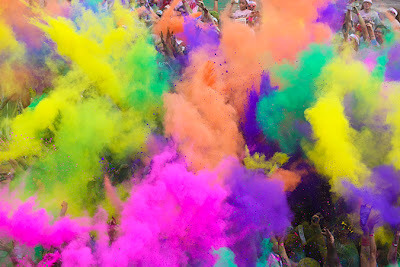 Nite Owl Creates: SLC - Color Run 5K! 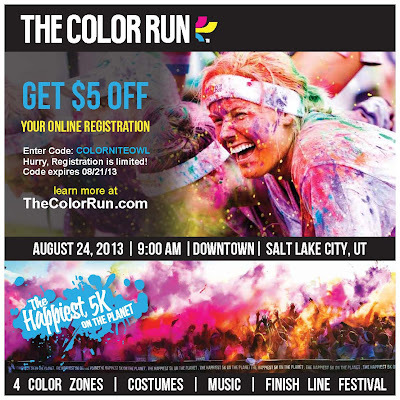 SLC - Color Run 5K! 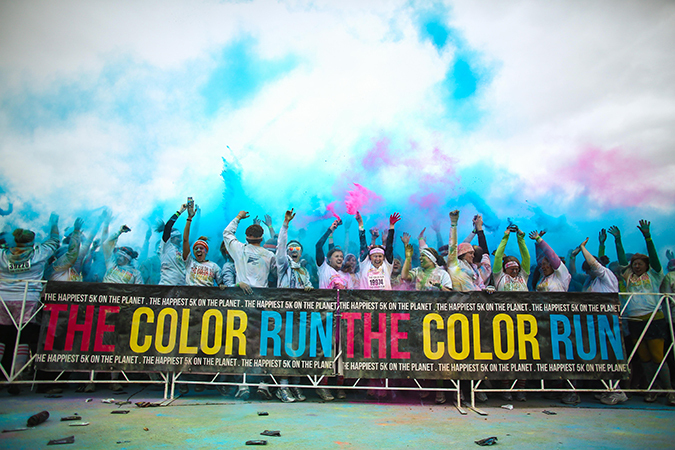 Get ready, because on August 24th,2013 , The Color Run is coming to downtown Salt Lake City! I'm excited to be part of promoting this awesome event. 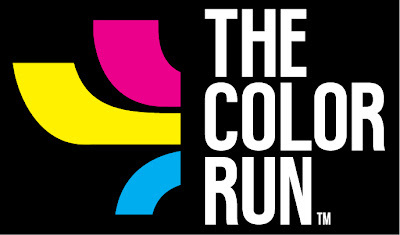 My cousins have participated in it once in Arizona and I was involved in a similar event last year here in Utah but I've been wanting to do The Color Run for awhile so I'm really happy they come to Utah now! The Color Run is a five-kilometer, un-timed race in which thousands of participants are doused from head to toe in different colors at each kilometer. The fun continues at the finish line with a gigantic “Color Festival,” using more colored powder to create happiness and lasting memories, not to mention millions of vivid color combinations. 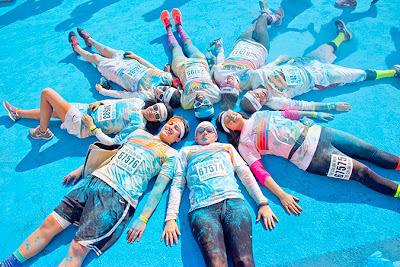 Trust me, this is the best post-5k party on the planet! 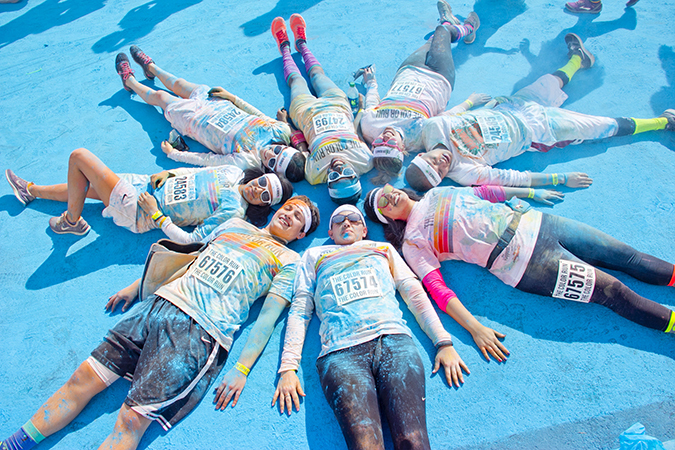 With only two rules, the idea is easy to follow: Wear white at the starting line and finish plastered in color! Doesnt this look like so much fun!? 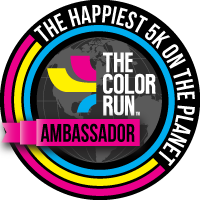 Let me know if you are going to go - it would be fun to meet you in real life at the race! If you sign up before May 1st, your registration is discounted. If you want to use the coupon code COLORNITEOWL (Utah peeps only) it will give you another $5 off your registration when you sign up in a group. This event has the great possibility of selling out quickly so if you want to go make sure you sign up sooner than later! Cricut Project - New Iron On Vinyl! Grandway Review - Laundry Bag! Free Tickets to Inspire My Life for Women!